At one point in his career Chad Ochocinco, the wide receiver formerly known as Chad Johnson, was considered an elite talent and possibly one of the top three receivers in the league. Despite this, he was often recognized more for his on the field antics than he was for his on the field play. Chad Ochocinco’s career highlight reel is full of touchdown celebrations, extravagant confrontations with NFL commissioner Roger Goodell and a plethora of mind blowing plays that showcased his skill and athleticism. Like most modern wide receivers Chad Ochocinco was somewhat of a diva and often let his mouth run more than his legs bu NFL fans still loved him for what he brought to the game. Ochocinco was not only an elite wide receiver but also an elite performer; one that wasn’t afraid to have fun in the generally stuffy and straight laced NFL. 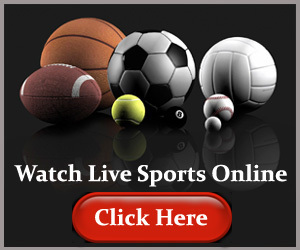 Unlike many big name wide receivers Chad Ochocinco did not hail from a big name college with a record for producing elite NFL talent; In fact, Chad Ochocinco’s career as a wide receiver had rather humble beginning. After graduating from Miami Beach Senior High School in 1997 Chad went on to attend Langston University where, surprisingly enough, he did not play football. Later in 1997 he transferred to Santa Monica Community College where he would play alongside future Pro Bowl receiver Steve Smith of the Carolina Panthers. After being recruited heavily by Oregon State University head coach Dennis Erickson Chad Ochocinco switched colleges one last time in the year 2000. At Oregon State Chad Ochocinco led his team to an 11-1 season and a victory in the Fiesta Bowl while playing alongside future Bengals teammate T.J. Houshmanzadeh.After a single season at Oregon State Chad Ochocinco declared for the NFL draft and was ultimately selected by the Cincinnati Bengals in the second round. In his first year with the Bengals Chad Ochocinco received a decent amount of playing time but his impact on the team was rather limited. Although he played in 12 games his rookie year Chad caught only 28 passes for 329 yards and 1 touchdown. In his second season season with the Bengals Chad Ochocinco enjoyed a breakout season, catching 69 passes for 1,166 yards and 5 touchdowns. As his rapport with Bengals quarterback increased over the years so too did Chad’s receiving stats. In 2003 wide receiver Chad Ochocinco set a franchise record with 1,355 receiving yards while also hauling in 90 receptions and ten scores; this was also the year that Chad received his first invite to the Pro Bowl. 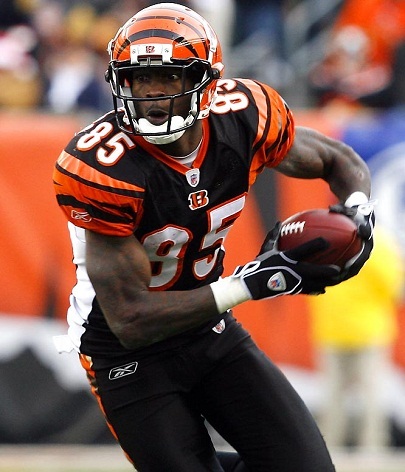 Ultimately, Chad Ochocinco would make six Pro Bowl appearance with the Cincinnati Bengals. In 2004 Chad Ochocinco set a career high in receptions with 95 while also recording another 1,200 yard receiving season. From 2002 to 2007 Chad Ochocinco strung together 6 consecutive seasons in which he recorded at least 1,100 receiving yards and 60 receptions. In 2005 and 2007 Chad even surpassed 1,400 yard receiving while recording 97 and 93 catches respectively.